The poster of the last comment should be wel pleased then, as pub has shut permanently and being redeveloped as a Tesco Express. There used to be 4 pubs on this road and now there are none. Their 'Last pub before Kempton Park' sign was a blatant lie, and no doubt dubious business practices like this contributed to the downfall. Pub now boarded up with attractive heavy duty metal sheeting. 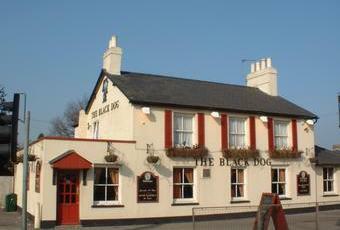 Looks like the Black Dog has served its last pint and will soon be doing its bit to combat the housing shortage. @lisa2 20 December 2009...you were lucky. 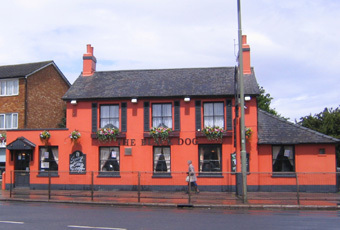 Recently at this pub, was full of underage drinkers and a teenage pregnant woman twisted on beer related? to the Landlord also twisted drunk. Child of about 3 running around pub till midnight as were the three staffy dogs. Tables filthy and sticky and had takaway food all over them. Barmaid in her pajamas and slippers...would never go back.